NOTE: Don’t leave without watching the video below! In the meantime, let’s start with a slideshow! As we soon will say goodbye to 2012, it is very important for me to thank all of catnip’s visitors and followers for some good old times throughout the year! You made (and continue to make) my day with your visits and especially when you left comments. By entering my world, you let a part of me inspire a part of you which in turn inspires others. Writing is a gift but only worthwhile if it tugs at the heart of its readers. One can write, write, write but if that written word is not read, nor acted upon, then its message is lost and becomes mere dust on a shelf, ashes in the wind. Catnip is definitely graced with many wonderful followers. My goal in the new year is to visit each of you with the same gratitude you have shared with me. I’ve got a lot of visiting to do so I had better get started! I will not give up until each one has been visited, Liked and catnip added as your latest follower! 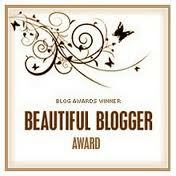 catnipoflife has been honored by Len @myownheart.me with being one of her Most Influential Blogs of 2012. Thank you, Len, but it is YOU who truly inspires me! I never know on any given day who might be the most influential. Today it is Arlen Shahverdyan from whom I would like to share a video he featured on his site today. 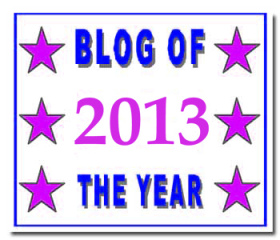 In addition, catnipoflife would like to recognize Arlen as one of her Most Influential Blogs of 2012. Arlen is Armenian, fond of writing and is an eloquent speaker. He has already published 3 books (from 2008 to 2012). Read more about Arlen, his writing, his poetry, his blog, his goals HERE! While visiting be sure to leave him a comment to let him know you stopped by and of course, he would love for you to become a Follower. As with any award, the next step is to examine the rules. The Rules…SURPRISE! There are NO RULES except you MUST pay it forward, and that means, sometime in the next six (6) months you “should” choose the blogs you deem worthy of your label of The Most Influential Blogs of 2012. Those that have influenced you the most! 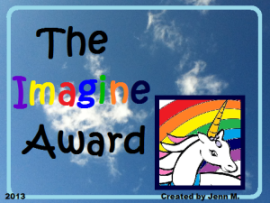 EVERY blog I follow inspires me in some way so this award is quite difficult in choosing those that have had the most impact on my life this year. So, understand Arlen is just the beginning. 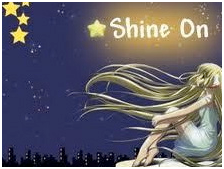 He is the first to be followed with recognition of others within the six (6) month time frame. 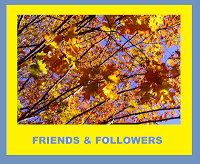 That means stay tuned, visit often for your name may be the next Most Influential Blog of 2012! All aboard! If you missed the ride in the beginning, Take the Train Along with Me now! Click on the caboose and enjoy the scenery! It may take a minute to load but well worth the wait! Do you remember Floyd Cramer? Click HERE for more @Awakenings. . .
4,329 films were submitted to the 2012 Cannes Film Festival. This blog had 17,000 views in 2012. If each view were a film, this blog would power 4 Film Festivals. Do you see what I see? Okay, my catnip followers, let’s see more visitations and comments in 2013! I love you all! Cheers in the New Year! Get your catnip HERE! HERE! and HERE! catnipoflife is celebrating her 200th follower! For some, this is only a drop in the bucket. But, for catnip, this is a milestone: she has exceeded the limitations of the Liebster Blog Award and is no longer considered a ‘newbie’, new kid on the block, novice, noobonaught, or nooblet! My name is Dan, and I am currently a student at the University of Central Florida, majoring in Creative Writing and double minoring in Spanish and Hospitality Management. I recently completed my first book, a self-help for teens, with hopes of it being published in the near future. This blog is meant to give you a deeper look into the life of a teenager wanting to become a published author, as well as offer tools and tips of advice to help you ultimately achieve the life-long goal of Happiness. As catnip’s 200th follower, she would like to provide a few gifts in celebration. So, Dan, I do hope you will accept with pleasure. . . 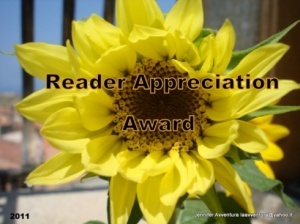 The Versatile Blog Award: catnipoflife recently received this award from Poems French & English by Gys. 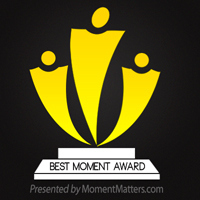 [This award was the very first award received by catnip last spring. Click HERE for her info.] Having perused your blog, I discovered the categories Achieving Happiness, My Writing Process, Poetry and Travels. 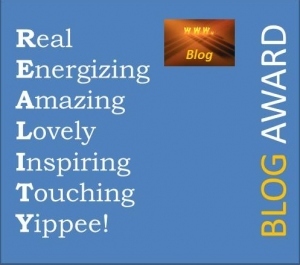 With versatility comes accomplishment and accomplishment indeed is evidenced in your many blog awards that honor writing purposely, skillfully and with talent. 1. 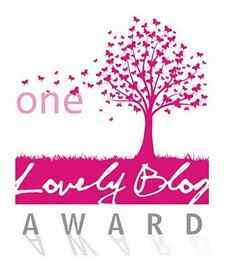 Thank and to link the blogger who nominated you. 2. 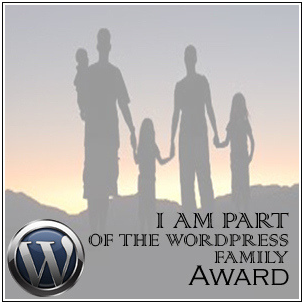 Show the award logo on your blog. 3. Write a post on the appointment. 4. 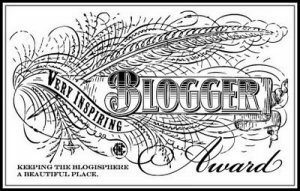 Nominate 15 other bloggers (or any number of your choice, more or less) and inform each. 5. Tell 7 things about yourself. 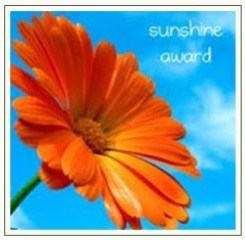 Super Sweet Award: catnipoflife graciously accepts this award from Ute Smile. [This is catnip’s second, the first coming from Len @myownheart.me a few months ago. Info can be found HERE.] Everyone loves sweets, some more than others! With this award, comes naming your favorites! Nominate a baker’s dozen of other bloggers and answer these five questions in your own blog posting. Be sure to inform those upon which you bestow the award. 4. Time when you crave sweets the most? 5. Sweet nickname? (If you don’t already have one, what would you like it to be? Awakenings from Then ’til Now: catnipoflife‘s sister site Awakenings recently featured The Next Big Thing highlighting the soon to be released Awakenings from Then ’til Now. An additional gift to you is a copy of this book signed by me, the author. To receive your signed copy, I will need a mailing address. 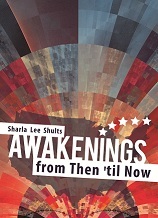 Should you not want to publicly display your address, you may email it to me @poetrybysharla@gmail.com . There are no rules, of course, in acceptance of this gift but perhaps you might consider a review. A Bookmark: What is the gift of a book without a bookmark! Yep, one is included so when you take a break from reading you won’t lose your place in time. The book covers five centuries from the 17th century to the 21st century. What does the past whisper to you? opportunities for reflection occur intermittently throughout each chapter. Happy journeying and journaling! The Next Big Thing: An invitation is extended to you for an interview to be included on catnipoflife and Awakenings as an addition to The Next Big Thing, which is a series of blog posts where authors talk about their work using the same ten questions. 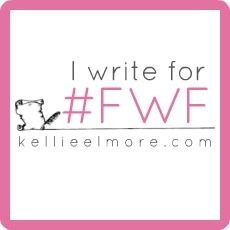 At the end of the blog you can tag other authors who will do the same thing a week later. So not only do others get to find out more about your book but you also connect your site to some other interesting writers. The Next Big Thing is a hot topic in the writers’ world so say ‘yes’ and tag along! Before closing, catnip thanks all of her followers for their time visiting and leaving comments. Any day is a good day to gather a little catnip of life! Such senseless killing and for what end? And the senselessness has not stopped to this day! To say I have them? Thank you, Kellie, for another great challenge! Life is a Struggle, Accept it! So often events of life leave us with questions without answers…Why is THIS happening? Why is this happening to ME? What did I DO? What did I do? WHY me? Why ME? WHY ME! Life is a struggle, it is up to us to accept it. It IS a Bed of Roses full of many thorns. Yet from its thorny stem bursts forth velvety soft petals of such a rich radiance that its aromatic fragrance emits an essence of healing. Next time you question WHY me? Why ME? WHY ME! reflect on the thankfulness of your ability to see the beauty! At that point, lift your head high, let the “Why me?” become Thank You! The Next Big Thing is a series of blog posts where authors talk about their work using the same ten questions. At the end of the blog we tag other authors who will do the same thing a week later. So not only do you get to find out more about my book but you also will discover some other interesting writers. The wonderful Taylor Fulks tagged me. Taylor’s first book, My Prison Without Bars, was just released on December 17, 2012. 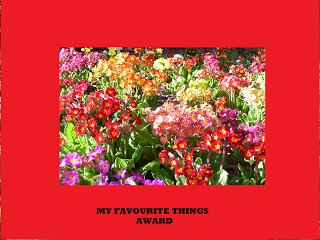 – Reviewed by Fiona I. for Readers Favorite. Awarded 5 stars. Thank you, Taylor, for giving me the opportunity to introduce my latest book, which is currently available at Tate Publishing and will be officially released on January 22, 2013. While there are actually two other books in progress, catnip of life and Reminiscent of Chocolate, I would like to introduce Awakenings from Then ’til Now. It is in its final stages awaiting official release in January, 2013. There is a need for everyone to make connections within whisperings of the past to the present day on into the future. Each of us is not an isolated individual but a thread binding together with countless other threads to create a rich and colorful tapestry of life. From the far reaches of America’s past, we can all, in some way or another, connect to someone who set foot upon America’s soil looking for a land of promise. It is through laughter and tears that the yesterdays of centuries past paved the way for today’s future. There is also an important need for us to support our military. Since history is plagued with war after war after war it is only befitting that this book be dedicated to those who made the ultimate sacrifice. Therefore, this book is dedicated to those who laid the foundation and established the platform for our American freedom: those who have served in the past, presently serve, or will serve our military forces in the future. A profound appreciation is extended for the sacrifice of these brave men and women who left or will leave their homes and family to ensure America’s freedom endures. A contribution from each book sale goes to benefit the Wounded Warrior Program and/or Veterans of Foreign Wars. Its purpose is not for advertisement or to gain endorsement but solely in support of our military forces. This book is poetically written so the book itself would not lend itself to movie production. However, there are many parts of the book that have already been successfully produced as movies or television documentaries. My publisher is Tate Publishing. The book is due to be released in January 2013. That is truly hard to pinpoint. The idea initially came when writing my first book, Echoes, in 2004. I actually outlined five books for the volume. After Echoes, Remembering was published in 2009. The third was to be Step Back in Time, which later became Awakenings. I would venture to say from the time the first outline was drafted for Awakenings to its final manuscript would be approximately a year and a half to two years. Don’t hold me to that explicitly! All writers know of the interruption after interruption that sometimes delays a project’s completion. Janice Richards recently published A Tribute to Those Serving the Red, White and Blue. It is also a book written in poetic verse targeting our military. If you want to know more about the hardships endured in the founding of America and establishing her freedom but do not want to resort to the informational text of a history book, then this is the book for you. If you want to know more about ‘from whence you came’ with a better understanding of your ancestry, then this is definitely the book to read. If you want to experience the sacrifices, feel the emotion, relish in the joys and sorrows from the past in order for you to enjoy the freedoms America has to offer today, then do not miss reading this book. If you want to make a personal connection to past events, then not only read this book but engage in the opportunities within the text for personal journal reflections. After all, America is your country, this is her story! While just yesterday those of us of Christian faith celebrated the miracle of the virgin birth, today we all fall witness to the miracle of birth at any given moment somewhere across our planet as a new life begins. UPDATE: It is December 28, 2012 and I just read the most remarkable post on The London Flower Lover! Click Flowers for the little baby girl who was just born and you will ‘see’ what I mean! or hate by his surroundings? or will he reach for the stars? Not everyone will be home for Christmas. Support our Troops for they support you!